Toronto, Ontario: Distinct Capital Partners Inc. acted as financial advisor to UK based Hubio, on the sale of its Canadian division, Hubio Exchange, to an investor group led by senior Management of the Company. Hubio Exchange is a leading provider of technology solutions that connect insurers with industry services, business partners, regulatory bodies and end-consumers. Hubio Exchange has provided industry leading solutions to Canadian P&C insurers for over 15 years. Toronto, Ontario: Distinct Capital Partners Inc. is pleased to announce the acquisition of Montreal based Rotalec International Inc. by its client Buchh Holding Inc. of Ajax, Ontario. Bucch Holding, through its wholly owned subsidiary, Britman Industries Limited is a market-leading supplier of safety products, controls and lock hardware servicing the Canadian industrial marketplace, with a focus in Ontario, for over 50 years. 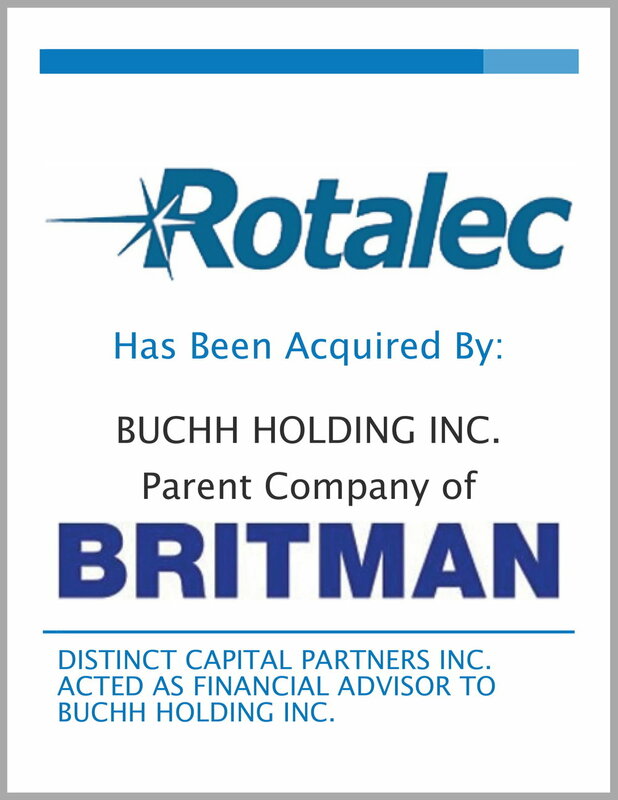 The acquisition of Rotalec with its international distribution and engineering expertise reinforces Britman's position as a leading Canadian distributor of high technology products. The acquisition of Rotalec further extends Britman's reach to both the US and UK markets. 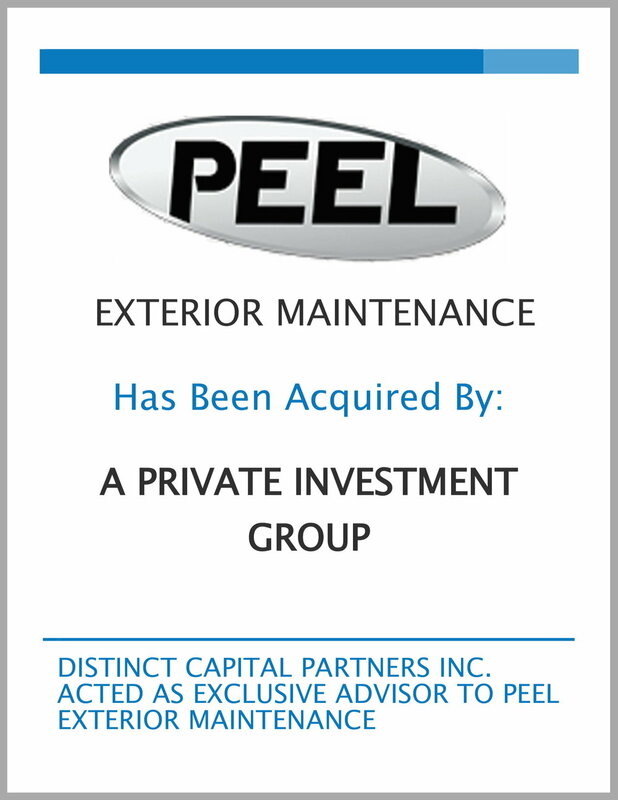 Oakville, Ontario: Distinct Capital Partners Inc. is pleased to announce the successful closing of the acquisition of its client, Peel Exterior Maintenance Inc. by a private investment group. Peel, based in Georgetown, Ontario, provides a wide range of year round exterior property maintenance services to its commercial customers as well as supplying landscape products through its depots. Rick Fallis, Peel's founder and President, engaged Distinct Capital Partners to advise and assist him in structuring a succession plan. 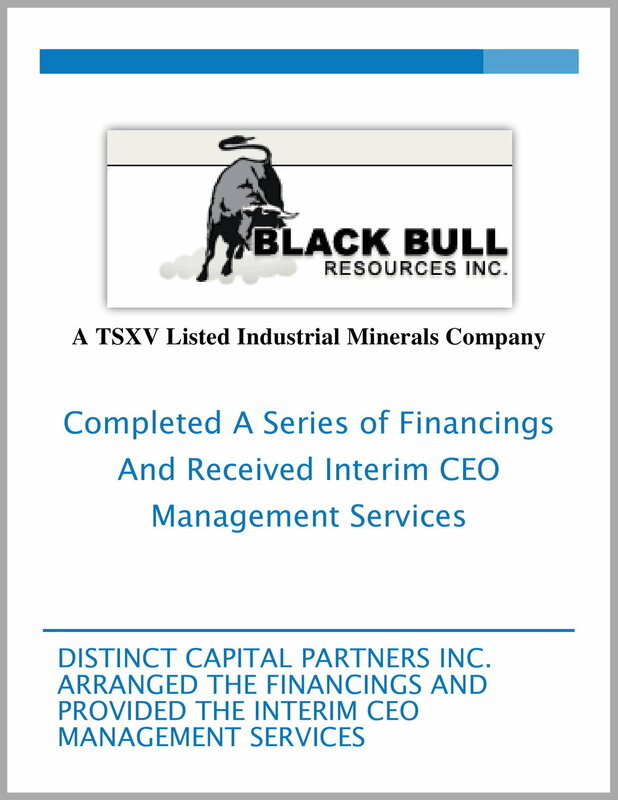 The objective was to identify a partner that would provide both initial capital as well as an eventual exit strategy. Following the acquisition, Rick would continue to operate Peel as President and as part owner of the business. 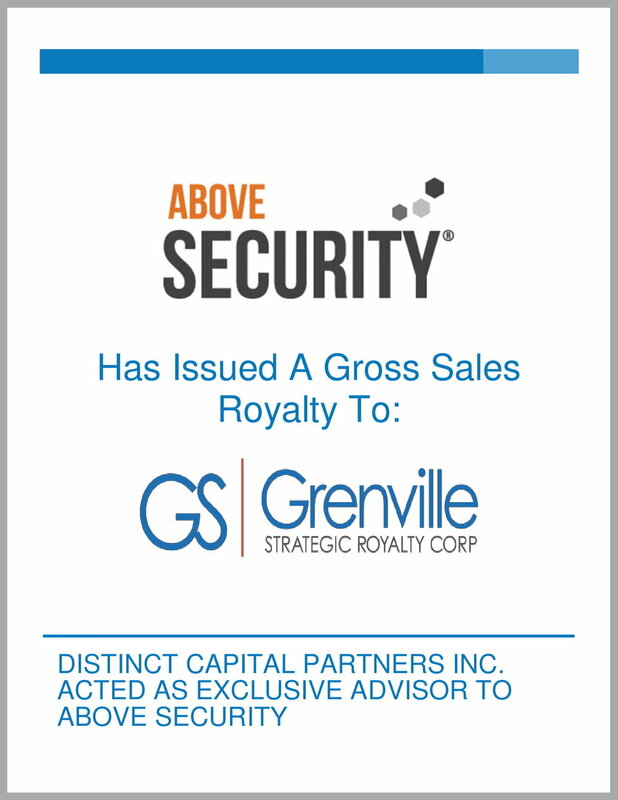 Montreal, Quebec: Distinct Capital Partners Inc. is pleased to announce that it has assisted Canadian based global security provider, Above Security Inc. in its acquisition of Seccuris Inc. The acquisition creates the only Canadian pure-play Managed Security Service Provider (MSSP). From its Security Operations Centres in Canada and Switzerland, Above Security protects clients in over 45 countries around the world. In 2015, Above Security was acquired by Hitachi Systems Ltd. and now operates under the name "Above Security - A Hitachi Group Company".